Condemned Labz has made a pretty big announcement today, that is going to bring about a whole bunch of changes to its growing line of supplements. The brand has said that it is actually revamping its original line-up of products and rebranding it as an Elite Series. The Condemned Labz announcement has been made with a preview of its new Elite Series look on a rebranded version of its pump formula, Locked Down. The new look is quite different from Condemned’s current one, as it is much lighter with a mostly white design and a touch of yellow. The brand has also said that its switch from original to Elite Series, is in fact going to be bringing with it a lot more than just a new look. 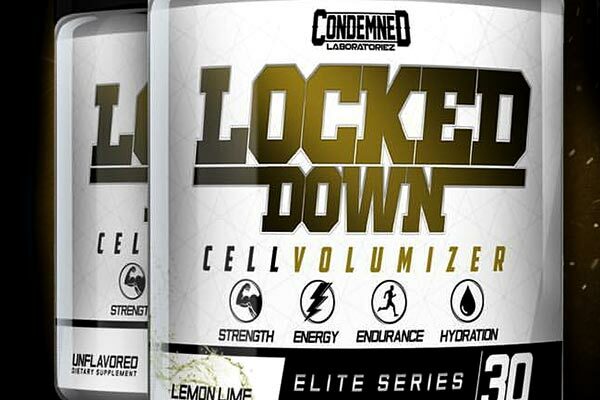 Condemned Labz has worked to make its formulas even better, tweaked its flavors to be even tastier, and fixed a caking issue it had with its pre-workout supplement. Condemned Labz new Elite Series is already apparently in production, so we should be finding out more about what the brand has changed as well as when the line will be available, very soon.